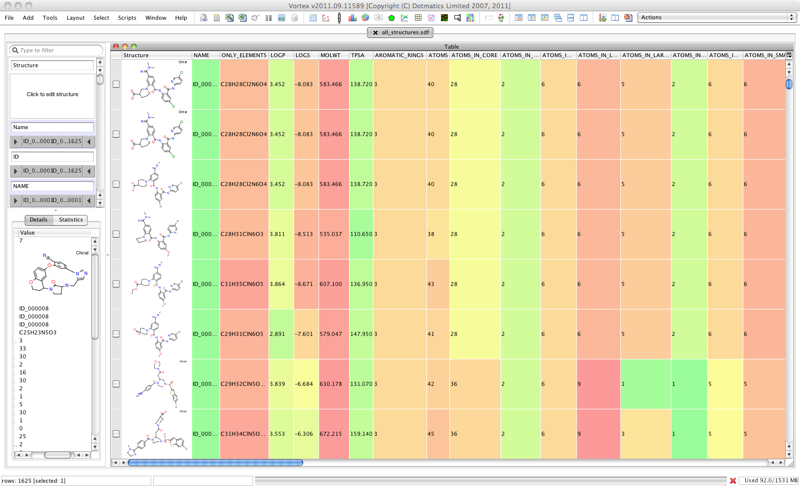 Physicochemical parameters, such as logP, topological polar surface area criteria, number of hydrogen bond acceptors and donors, and Lipinski’s rule-of-five. 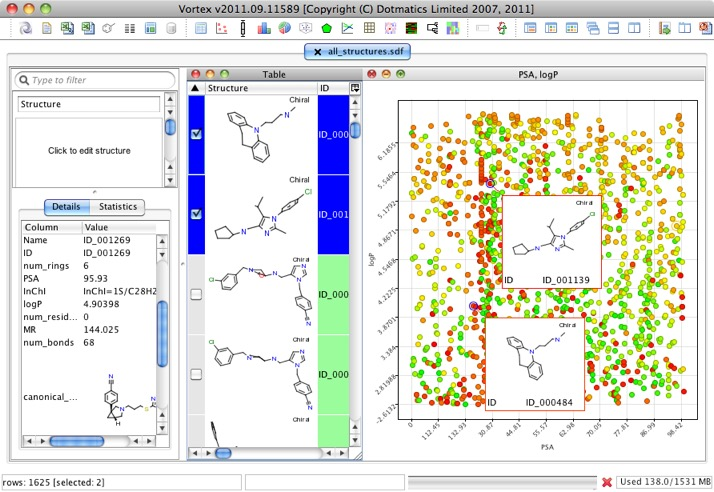 Graph-based properties, including ring-based parameters and rotatable bond criteria. Selection criteria by means of smarts patterns; o Similarity criteria. -Three-dimensional distances between user-definable fragments. filter-it is a command line-driven program that is instructed by means of command line options and a user-definable filter file. It is by means of this ‘filter’ file that the user can define the actual filter criteria to be used. If you want to install globally on your system, you will need admin access, and should follow these instructions. This will create a folder called 'filter-it-1.0.0'. Typing filter-it -h in the Terminal should give the following help message. along with Filter-it. If not, see http://www.gnu.org/licenses/. Filter-it is linked against OpenBabel version 2. Filter-it is a tool to filter molecules from molecules. optional --inputFormat=<format> option. Gzipped files are also processed. 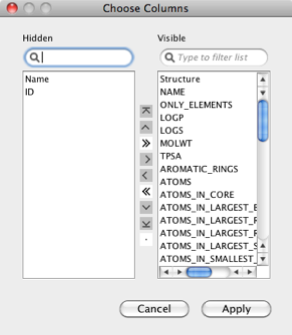 Specifies the file that defines the filter criteria. Specifies the format of the input file. The <format> argument is required. in a format defined by the --passFormat=<format> option. Specifies the format of the pass file. The <format> argument is required. in a format defined by the --failFormat=<format> option. Specifies the format of the fail file. The <format> argument is required. the filter definition file without applying any filtering step. optional; if not provided all output is written to standard output. are also taken into account during the filtering process. the input file. Existing titles are overwritten. error but reduced to a large extend. This uses multi.sdf as the input file and outputs a tab separated list of values to stdout. Vortex contains a powerful scripting facility built on Jython a java implementation of the Python programming language and allows access to the key components of Vortex, Python and Java. The Vortex script to use this application is shown below, the script starts by getting the path of the sdf file that was imported into Vortex, we then construct the sieve command and pipes the output into a variable “output”. The output is then parsed, using \n to separate each line and \t to separate each value on each line. The first line contains the column names and these are used to populate the Vortex columns, the other lines contain the data and this is used to populate the table. The image below shows the result. With so many columns you might want to change the order in which they are displayed or not actually display some of them. To do this click the icon in the top right corner of the table, this will bring up the dialog box shown below. You can change the order of the columns by moving them up or down the list by highlighting the column(s) name and using the arrow icons. 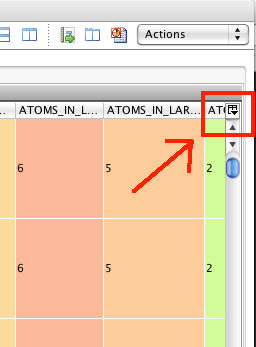 Or you can move columns to the “Hidden” list if you don’t want them to display.